Several San Francisco supervisors are voicing support for the 2,300 hotel workers whose strike against Marriott hotels in the city is now entering its second week. Leaders of Unite Here Local 2, the union representing kitchen workers, bartenders, bellmen and others at seven hotels in the city, say the strike that began Oct. 4 is not expected to end any time soon. 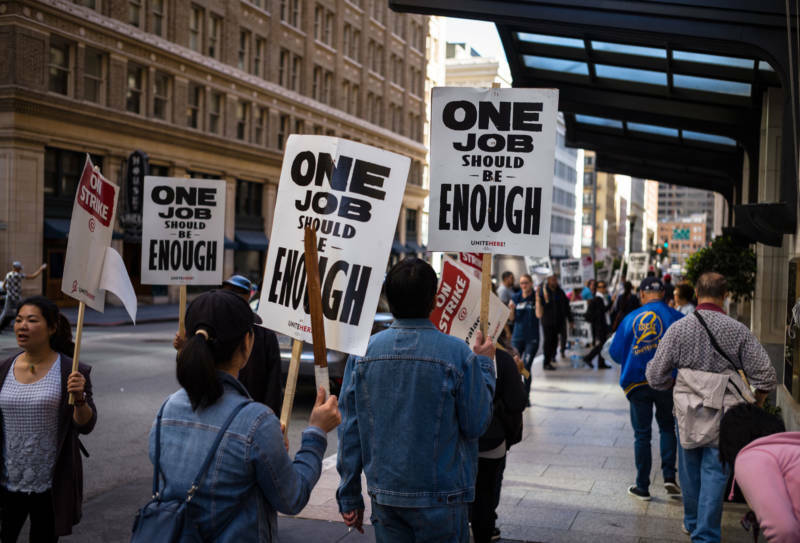 The walkout is linked to similar labor actions against the hotel chain in other Bay Area cities and around the nation. Union leaders say they want better wages and job security, among other things. On Friday, supervisors Hillary Ronen, Ahsha Safai and Vallie Brown endorsed the strike and advocated for the workers. "An incredibly profitable company like Marriott, whose CEO earns millions and millions of dollars a year, should be able to pay their workers enough so that they can work one job," Ronen said in an interview. Brown said she stands with the union and hopes that both sides "quickly come together to produce an equitable contract." "Our hotel workers need to be safe at work, especially female workers," Brown said in an email. "Tourism is keystone in the pillar of our economy — our hotels need to open, our visitors need to feel welcome, and our workers need to be able to return to work on fair terms." Safai said San Francisco city officials should take a larger role in the labor dispute. "I do believe the city has a vested interest in getting involved in this strike as the tourist industry and in particular the hotel industry is an integral part of our economy," Safai said in an email. "These workers do some of the hardest and most undesirable work in our city and should be paid a living wage," Safai said. "Our economy has grown by leaps and bounds and hotels have realized historic profit. The workers deserve to realize some of this wealth." 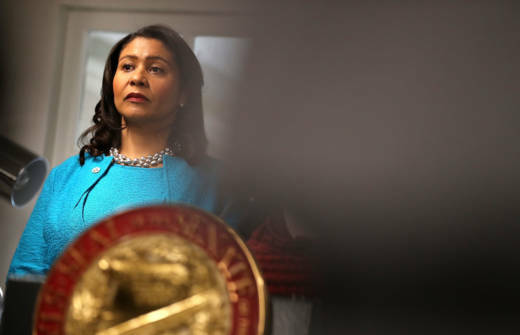 Mayor London Breed has yet to make a statement on the strike, despite several requests for comment. Ronen called on Breed to voice support for the employees on the picket lines. "I hope that the mayor will take leadership and stand with these workers who have incredibly reasonable demands," Ronen said. "As elected leaders in San Francisco it is on us to do something about this and the least that we can do is support these workers in their righteous struggle," she said. A Marriott spokesman did not respond to questions about the supervisors' concerns. In the past the company has reiterated that it's disappointed that the union is striking and emphasized that its hotels will stay open throughout the labor action.